Wal-Mart says it will promote more than 25,000 employees by the end of January. Amid criticism surrounding its worker pay, Wal-Mart on Tuesday publicized a planned round of employee promotions. The retail giant announced plans to promote more than 25,000 of its roughly 1.3 million U.S. employees by the end of January, bringing its annual tally to more than 160,000 promotions this year, roughly the same as last year. 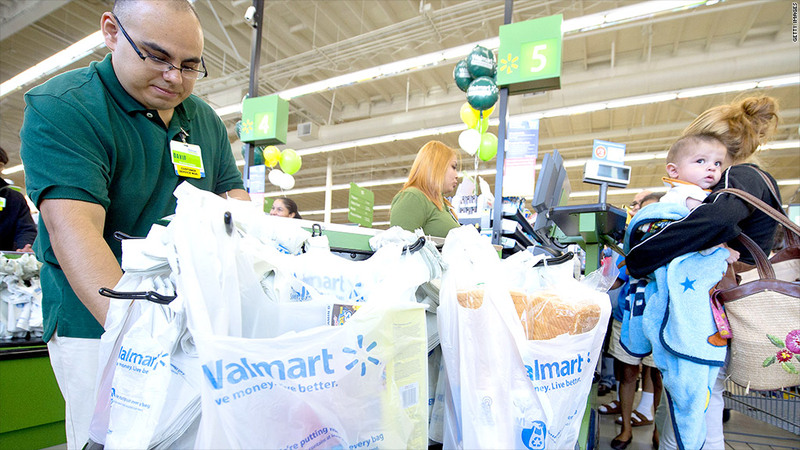 The promotions will affect employees in both hourly and management positions and will come with higher pay and increased responsibilities, Wal-Mart said. The announcement comes just days after a Democratic lawmaker criticized the firm's executives as "welfare kings," citing the store's average full-time hourly wage of $12.83, or roughly $26,000 a year. Wal-Mart has said that more than 475,000 of its employees make more than $26,000 a year, leading critics to point out that many additional employees must make less than that amount. Wal-Mart said it offers competitive wages and the ability to build a career, citing that 75% of store management started as hourly workers. "Like most Americans, our associates want good jobs and access to a better life," CEO Bill Simon said in a statement. More than 40,000 assistant managers earn $50,000 a year, on average, while more than 4,000 store managers earn an average of $170,000 annually, according to Wal-Mart. Still, the vast majority of Wal-Mart's employees - roughly 1 million nationwide -- are hourly workers, according to a company spokesperson. 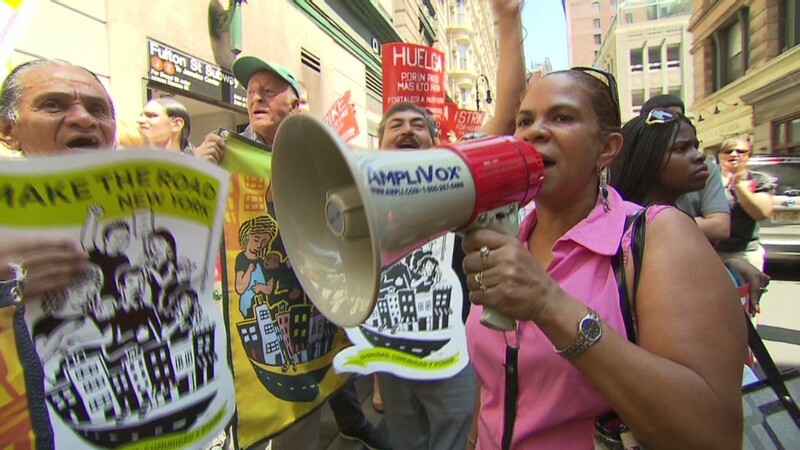 Criticism isn't new for the country's largest private employer, which has faced labor protests organized by the United Food & Commercial Workers union, calling for a minimum full-time pay of at least $25,000 a year.